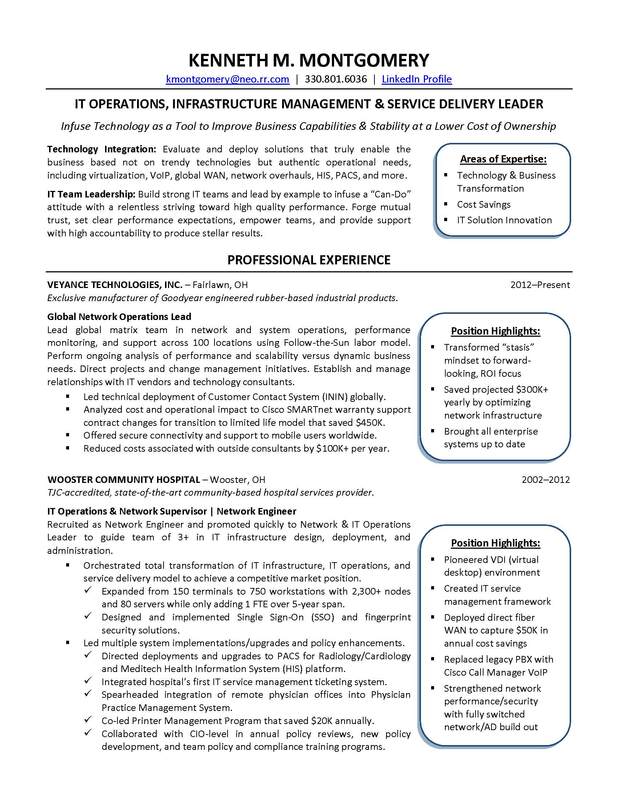 I recently had the opportunity to conduct another IT resume makeover with CIO.com as part of their ongoing series. This particular client has been a leader in IT operations, service delivery, and infrastructure management in a variety of fields. He wanted to convey his main focus as an IT executive, which is to better enable the business and to operate at a lower total cost of ownership by implementing new technologies and creating a stable IT environment. This was another fun project to work on. Please check out the full CIO.com article that has the before and after results. Feel free to comment directly on the CIO.com site or here if you prefer. I’d love to hear your thoughts!